One of my favorite things about baking well is when someone tells me that they don't like a particular dessert, but that the one I made is really good. I've had that experience a couple times with angel food cake. 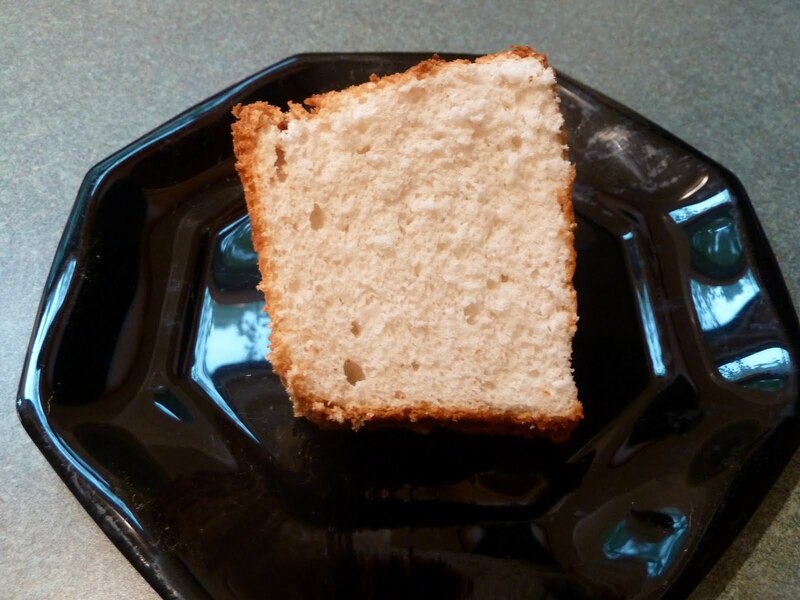 Angel food cake can be a hated dessert. I blame store-bought and box-made cakes that taste like cardboard. And the fact that it is touted as health food turns people off. Homemade angel food has small holes throughout that create a light bouncy texture. It should yield to a knife without getting smooshed when you cut it. I have a very cool knife that I use to cut angel food, chiffon and other light sponge cakes. It helps the slices keep their shapes. This cake was served with creme fraiche and fresh strawberries. It was the dessert for a picnic at an orchestra concert at Blossom that was moved indoors (inside a car) because of rain.